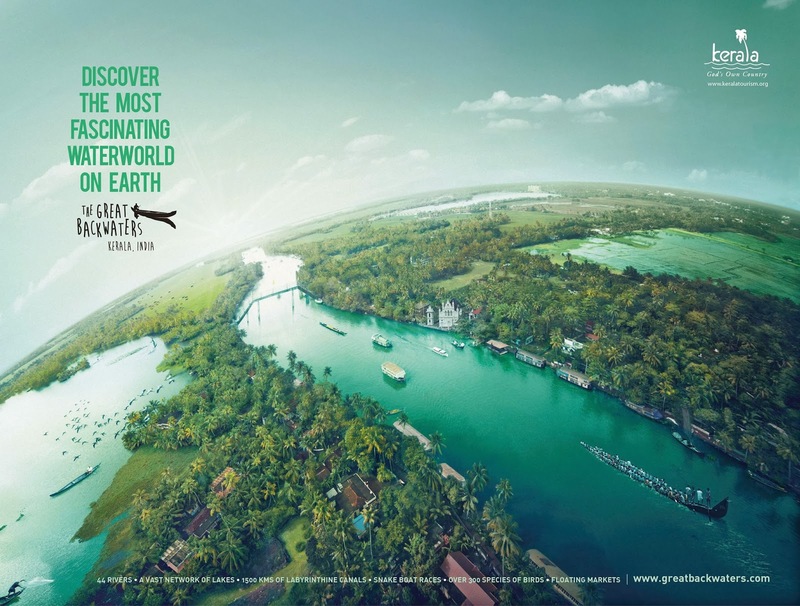 This is an amazing photo shoot for promoting Kerala backwaters. Please check http://greatbackwaters.com/ for more. Nallathanni and Kundaly rivers flow together. trip, we decided Top Station as our final destination. other minute, sometimes it rains and then suddenly mist covers the whole route. backpack and continued our journey. drive from Munnar town. You can get a beautiful panoramic view of hills and clouds from top of the dam. We reached there by 1:15 PM. Also there are boat rides available, which is really enjoyable. speciality of Munnar, and had it till our next spot. the nature. A small pine forest is situated near to this lake. Horse rides and pedal boats are available there. season there was less number of tourists so no one will compel you to hurry. Kundala. We reached there by around 4:00 PM. Tourists have to walk nearly 600m to reach the View Point. will always catch your eyes throughout this route. fantastic. We stopped in between to enjoy the forest in its full extend. lying on my cosy bed I felt this was the best trip I had in a while, a trip that we could never forget. of viewpoints on the route. 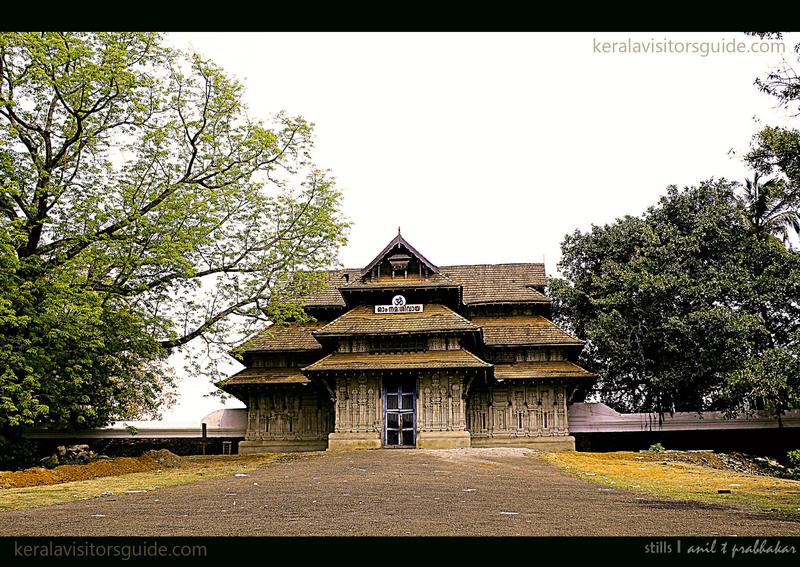 Accessibility: Kochi International Airport is located 105 km from Munnar. Ernakulam Junction at 130 kms is the closest railway station. We started off looking at our empty calendar for a Saturday. We surely didn't want to kill the day sitting idle looking at the greenery outside the balcony window. We finally got settled down for a day (half day) at Fort Kochi which became the single most favorite place for us in Kochi. An area small enough to cover on foot or a bicycle, glimpses of Kochi's variegated history greet you at almost every turn in Fort Kochi. Fort Kochi (and Mattanchery) are connected to the modern Kochi (Cochin) via a complex system of ferries. You can also take the road route which goes over many bridges on your way. More details on the history of the place can be found in Wiki. You will not miss the China fishing nets installed over a long stretch of the water body. Its very much fun watching how he fishermen install the net and catch fish and sell in front of you live. 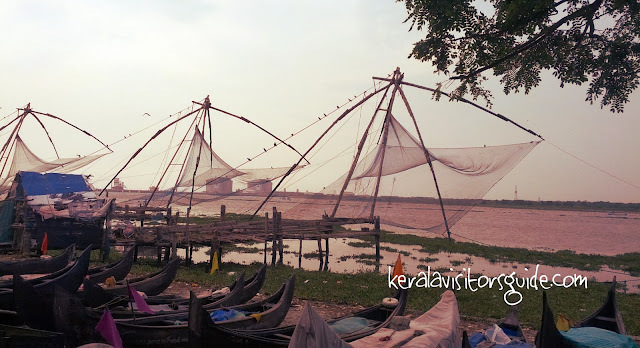 These fishing nets are probably the most familiar element in any panoramic scenery of Kochi. They are suspended from arched poles and balanced by weights at multiple locations, requires 4-5 skilled operators to operate.